The exhibition was very successful and there were many interesting conversations with key companies of the US Wind Industry. REO USA showcased the newest technology of components for renewable energies and also electrical test systems. 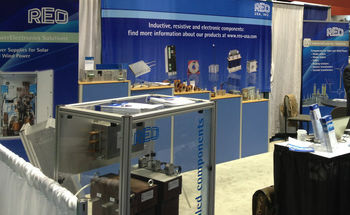 Many visitors took expressed interest in the liquid cooled line reactors and current transformers. REO USA would like to thank you for the great interest in REO products and looks forward to exhibiting in the future.